We know that an average spinning class can burn up to 700 calories, and an hour’s vigorous hula-hooping will use up 600 calories, but what about the days when you simply don’t have time to go to the gym (or just can’t be bothered)? Here are some calorie-burning activities that might help take the guilt out of skipping the gym. Want a good reason to finally clear that junk from your backyard and start growing your own fruits and veggies? Well, two hours of plucking weeds, digging and watering can help you lose more than 600 calories. A few days of this activity doesn’t only mean a nicer house but easy weight loss too. Two hours of DIY house painting can help you burn 600 calories. So grab your paint buckets, rollers and brushes and give your house a makeover! If you thought ‘shop till you drop’ was nothing more than a catchy phrase, you’re in for a big surprise! 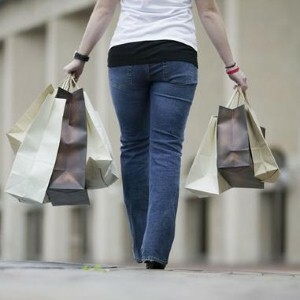 Shopping is actually a demanding physical activity that could help you burn about 250 calories per hour! Being obsessed with the aesthetics of your lawn also falls under the category of everyday activities that burn calories. You can burn more than 300 calories per hour of lawn upkeep. Anyone up for a round of poker? An hour of playing cards can help you burn more than 100 calories. Why not take it a step further to maximize that weight loss by asking your partner to join you for a game of strip poker? Don’t lose those hours of sleep because, as unusual as it sounds, sleeping is an everyday activity that burns calories! A relaxing eight hours of sleep will help you lose 350 calories. And let’s not forget that a good night’s sleep is what keeps your body functioning properly, helping you burn even more calories during hours you spend awake. It doesn’t sound much fun but it sure is useful… an hour spent washing your car or windows give you a full body workout resulting in more than 300 calories burnt. And you can burn at least 400 calories an hour by reorganising your furniture or moving and carrying boxes. Did you know that one hour of this activity can help the happy cook burn 90 calories? Now you’ll feel even better for deciding to make a home-cooked meal today.